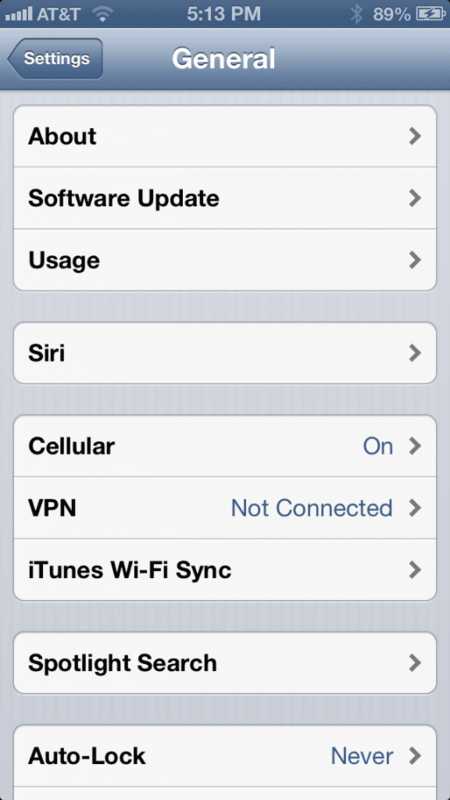 Two weeks ago, Apple finally launched a software update that promised to end the problems iOS 6 presented. However, after several days using our iOS devices, we found that some of the problems remain and also new ones arise. One such problem is precisely the wireless connectivity. Indeed, they may on your iOS device have noticed a significant reduction in the scope of the wireless network: where once you arranged all the best bars, now just get connectivity device, as shown in the picture that heads this Article. Also identified problems with the sound settings: without touching the side buttons, the overall volume of your iPhone or iPad itself decreases and can only be changed by accessing the settings, reducing the volume to minimum and then take the most of new . Our readers are commenting via Twitter that the automatic brightness adjustment is not working either. Every time means more loss of leadership of Scott Forstall, senior vice president of iOS within Apple, with constant failures in the operating system. Hopefully the company will soon launch a new update to be resolved in the end all these problems. The article was last updated on iOS does not solve the problems it was originally published in News iPhone .